Form I-9 impacts us all. Our I-9 compliance tool is designed to meet any industry’s needs. Many industries with high turnover, multiple worksites, or heavy regulation need a paperless Form I-9 solution. Below is a sample of some of the industries served by Lookout’s “I-9 Intelligence” software. One of the biggest challenges our restaurant customers face is managing turnover. 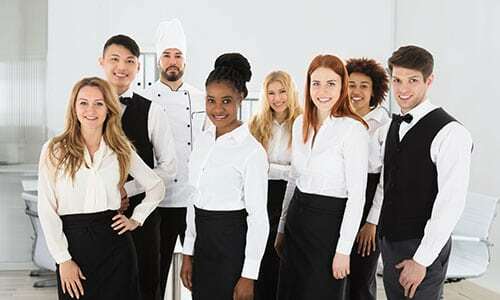 According to the National Restaurant Association, turnover is significantly higher at restaurants than the private sector for a number of reasons. That turnover even impacts restaurants at the store manager level, making it very problematic to keep store managers trained on proper Form I-9 completion. One of the biggest challenges our hotel customers face is that the Human Resources (HR) Director can’t be in 3 places at once. Delegation becomes possible, because oversight is not only possible, but easy.